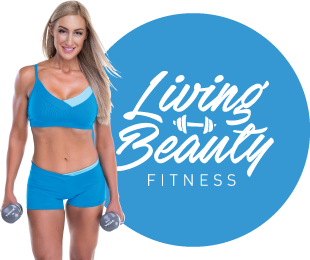 This policy sets out how Amelia Ricci trading as Living Beauty Fitness (we) collect, hold and disclose personal information. We take privacy seriously and are committed to complying with theAustralian Privacy Principles in the Privacy Act 1988(Cth). generally carry on our business. We collect an individual”s name, address, phone numbers and fax numbers, email address and where relevant, age, general health and pregnancy. We also collect any other information necessary or reasonably required to provide the specific services and products our clients require. We collect personal information directly from our clients when they complete our information questionnaire, request information from us, place orders for products with us or return products to us or provide feedback to us. We collect personal information directly from our suppliers when we request a quote or other information from them and when we open a credit account or place orders for products or services with them. We may also collect personal information about an individual from publicly available records or a third party eg a provider of an employment or other reference. Individuals have the right not to identify themselves, or to use a pseudonym when dealing with us. However, if we request personal information and it is not provided, we may not be able to provide services or products to or otherwise assist the relevant individual. We will not use an individual”s personal information to market our services or products unless that individual has consented to the use of the information for such purposes. as otherwise authorised by the Privacy Act. Our contractors may have access to some personal information we collect. For example, contractors may be engaged to develop and maintain our computer systems, electronic records, websites, blogs and other social media outlets. We will not generally disclose personal information about an individual to an overseas recipient, and will only do so on that individual”s request or where required by law. If you are not satisfied with the outcome, then you may make a complaint to the Office of the Australian Information Commissioner (OAIC). For information about how to make such a complaint, please refer to the OAIC websitehttp://www.oaic.gov.au/.